Einstein once said that the definition of madness is doing the same things over and over again and expecting different results. So will 2018 be your year for Forex trading success? Not if you are doing the same things that you were doing in 2017 it wont. Less than 5% of retail traders consistently make money in the market. Why? Retail trading strategies don’t work, its as simple as that. What do i mean by a retail trading strategy? A retail trading strategy is any strategy that uses beliefs about the market that are incorrect. Beliefs that are built up by years of watching You Tube video’s and visiting sites like Forex Factory and Baby Pips. Retail traders do not understand how professional traders trade. Despite all the so called Forex gurus that claim to be able to teach you how to trade price action, or teach you how to trade order flow, or teach you how the big banks trade, or teach you how the institutional traders trade, retail traders are still in the dark about what really goes on in the Forex market. The big banks do not trade how you think they trade, the institutional traders do not trade how you think they trade, professional traders do not trade how you think they trade. Why are you doing the same things over and over again? Because you don’t know any different that’s why. You have been brainwashed by charlatan educators who claim that they know what they are talking about, when they don’t. You have taken too many courses for a few 100 bucks, and you think you know how to read a chart, but you don’t. How ever you reached my site today i would like to thank you for visiting, but before you click away just stop for one second and listen to this. This is a pivotal moment in your Forex trading career. If you read some of the articles on my site and click away then you have just missed an incredible opportunity to find out what you have been searching for your whole trading career. How the Forex market really works. I am a real life professional trader. I have talked the talk and walked the walk. I have been where you are now, i have done what you are doing now. I have many T shirts to prove it. And now i am prepared to share all of my years of knowledge and experience with you, to enable you to change the way you look at the market forever. I don’t just claim to know what i am talking about. I actually do know what i am talking about, and i prove it to my students day in and day out. So let 2018 be the year that you do something different. Let 2018 be the year that you finally realize your dream of becoming a successful trader. Let 2018 be the year that you get a proper trading education from a real trader that makes his money from trading, not from training. For more information on my Forex trading course please click here. 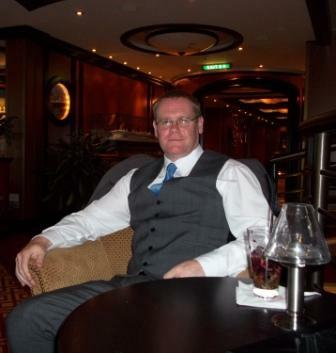 Thanks for visiting my site, and remember this is a pivotal moment in your Forex trading career, are you going to click away, or are you going to contact me and see what i have to say? As some of you already know i recently launched a new Forex training course called learn to trade in 5 days, and i thought i would post an update on how that’s going. The course teaches my number one trading strategy, and is an alternative and more affordable option to the full 15 or 30 hour courses in which i teach all of my strategies. I had a good feeling about it when i decided to offer it, and the response to it has been very encouraging. I would like to thank everyone that has signed up for the course so far. Some traders have taken the course already, and some are waiting to start. The feedback i am getting from the people that have taken the course is very good indeed, as is the feedback from the 15 and the 30 hour courses. I have had a couple of traders say that i need to post some feedback on the site to let others know how good my stuff is. Now i am not the type of person that goes in for pages of made up feedback testimonials to encourage people to part with their hard earned money, but having a few genuine testimonials from real traders who genuinely want others to benefit from what i teach, is only going to be a good thing. I have many visitors to the site, that look at my courses, but for whatever reason, probably the price 🙂 decide not to contact me. Now let me just say this to all of those people that visit the site and click away. If its the price, then i understand. If its not affordable then what else can you do. But to those people that can afford to pay me to teach them, i would like to say this. Please please please please please do not get me confused with all the other charlatan educators out there. If you have been scammed, ripped off, cheated out of your money by these crooks, then i feel very sorry for you, but i am not one of them. I had an email from a guy yesterday that had paid over £20,000 in the last 5 years to these crooks. He is now having to take out loans to pay for his healthcare because hes lost all his money. It makes me sick, it really does. But these charlatans do not hide in the shadows, waiting to pounce. They are all there in plain sight, so called professional traders with flashy websites telling you how good they are, and how many people they have successfully taught how to trade. I am not going to name them as they will probably sue me. They have very lucrative training businesses to protect after all, but please do not fall for their lies. These people do not care how much money they take from people, or how many lives they ruin, they are not professional traders, they are con men pure and simple. If you want to learn how to trade you have to pay a real professional trader to teach you, not a professional marketing guru. What i am offering to teach you, you will not get anywhere else. What i can teach you about this business will change your life. If you want to be a successful profitable trader then email me, give me a call, or Skype me, and listen to what i have to say. Thanks for visiting my blog, and have a fantastic weekend. 10.01.2017. Reviews can now been seen here. Forex Volume Set To Rise. USD JPY To Stabilize – Credit Agricole. Article Courtesy of Credit Agricole. 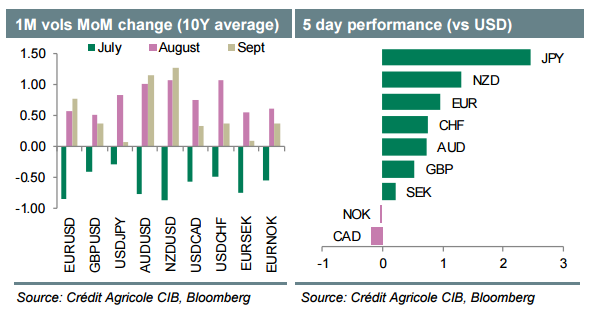 The views expressed in this article are the opinion of Credit Agricole FX market analysts. Please feel free to share. The holiday season is in full swing and for some this may mean that markets will settle down as liquidity dries up in the coming weeks. Our evidence suggests that Forex volume tends to go up in August, however, data releases and events can trigger renewed spikes of short-end vol across G10. It remains to be seen whether the combined effect of the multitude of idiosyncratic shocks will be sufficient to fuel a broader risk off move. Even so, we have added to our portfolio a long XAU/CHF trade as a risk-off hedge. Another interesting strategy is to identify cheap FX volatility to benefit from accentuated market moves on the back of event risks and thin market liquidity ahead. Next week’s data calendar is laden with data releases like US non-farm payrolls, and events like the BoE Inflation report and the RBA policy meeting. The BoE inflation report may struggle to exceed the dovish market expectations ahead of the August inflation report, and that could help GBP consolidate more broadly. We remain long GBP/CHF going into the release. Investors are looking for another solid US payroll and earnings data. JPY should remain in the spotlight ahead of the announcement of Abe’s fiscal stimulus next week. We expect Japanese stocks to recover some more as a result and that should help USD/JPY stabilize. Ahead of the RBA, markets see a greater than 50% chance of a rate cut. We also see a non negligible risk of policy action and stick to our tactical AUD/USD short. The FX options markets do not seem to be pricing in a significant scope for spot moves making AUD short-term gamma an interesting buy as well. That said, we remain bulls on AUD/NZD over the longer-term, and expect the upcoming NZ unemployment and inflation expectations data to fuel rate cut expectations ahead of the August RBNZ meeting, and keep the cross supported. Potential disappointments from Chinese PMI data could keep both antipodean currencies under pressure against USD.